Cascais, Portugal is set to be painted a particular shade of blue tonight after Azzurra were crowned the 52 Super Series champions of 2015. The team which wears the iconic colours of Sardinia’s Yacht Club Costa Smeralda eclipsed Quantum Racing over the five regattas circuit which started in May in Valencia and finished in typically perfect Portuguese sunshine. 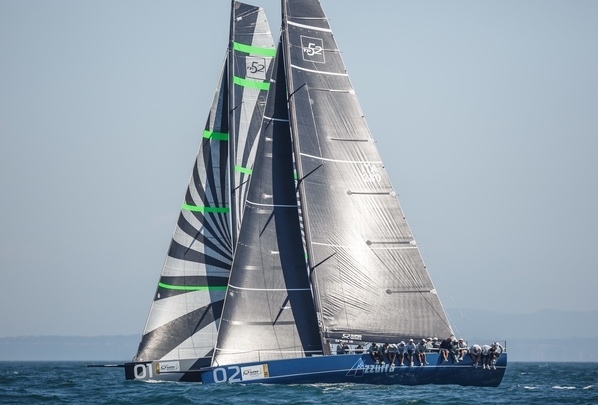 Key personnel changes which have contributed to their winning set up have been bringing in Giovanni Cassinari as mainsail trimmer, thereby adding a second sail designer to their team as well as a world class sailor, Kiwi America’s Cup winner Grant Loretz as headsail trimmer. His Anglo Saxon, steadying influence has been the ‘glue’ which has held the team on winning form according to Parada and bringing in performance coach Marco Capitani to develop a much more empirical approach to data collection and analysis. But the core of their team dates back to a bunch of young Argentinian guys who Alberto Roemmers Sr put his faith in more than 20 years ago. Their average score over all the season’s races is 3.8 points. “It’s been a long way, this is something that we planned many months ago, we have worked very hard and somehow we have over-achieved our target so because winning at home in Porto Cervo and winning the Championship, winning the season with a race to spare, winning the last race of the season, winning Palma Vela, I think it’s been a great season for us and this is something we will remember for a long time," Parada said. "Obviously we have to thank the Yacht Club Costa Smeralda for their support. 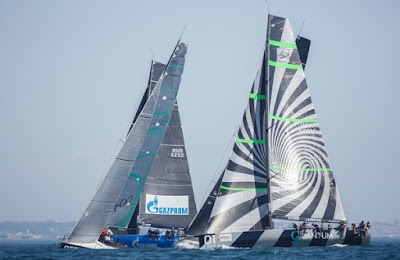 Having their colours on-board is something we take with a lot of responsibility and a lot of pride. 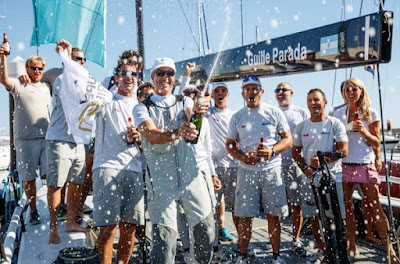 We are also very grateful for the whole Roemmers family and especially to Alberto senior who gave us a group of young Argentinians 20 years ago the chance to be what we are now. 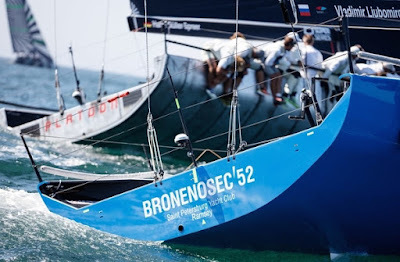 And for sure he has changed the history of sailing in Argentina,” he added. 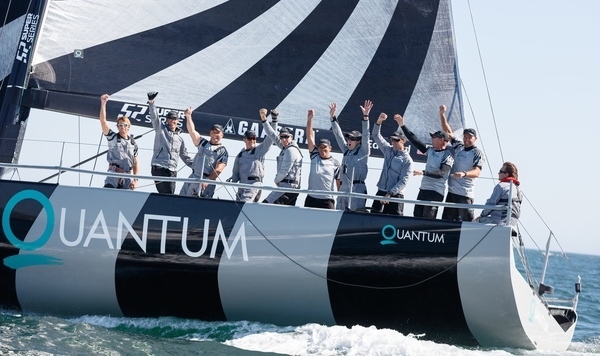 Second overall for the season Quantum Racing have profited from integrating owners Doug and Dalton DeVos into their sailing programme, the father-son duo sharing the helm across three of the five regattas, culminating in their win at Copa del Rey in August. 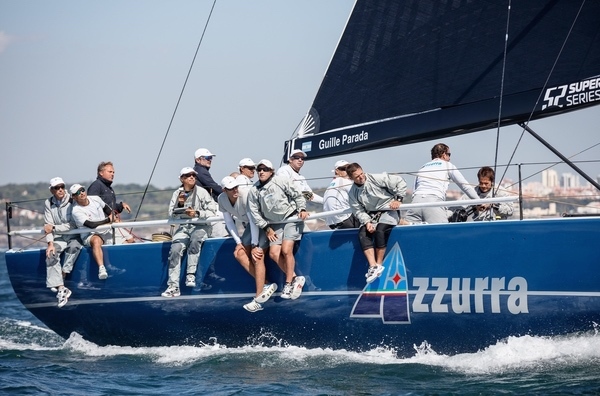 But the 2014 champions drew level with Azzurra today in terms of regatta wins when they added the Cascais Cup title, thanks to a great last two days. 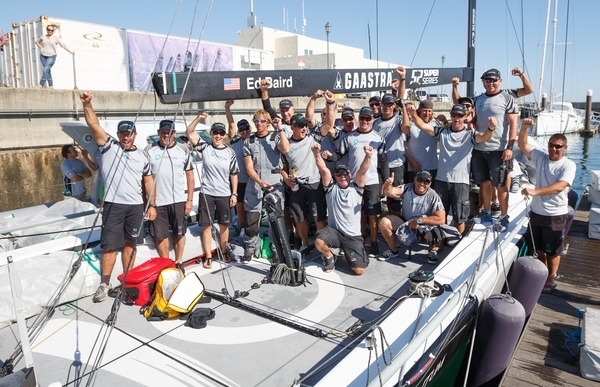 They finished with a consistent string of 1,3,2,3 from the final four races of the season to sign off their 2015 with an important morale boosting finale, leaving the new 2015 champions trailing in their wake eight points behind. 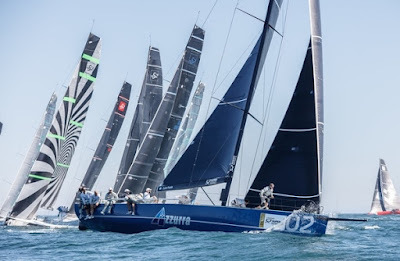 In effect Azzurra had their highest scoring day of the year as they dropped over the championship winning finishing line Saturday just as Quantum Racing raised their game on cue to win in Cascais. 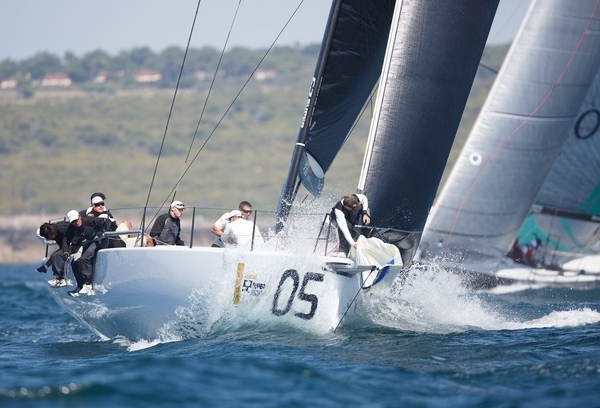 “It is great to finish the season with back to back regatta wins. 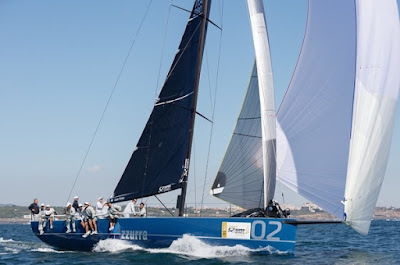 Last couple of regattas we have really shown our true mettle. 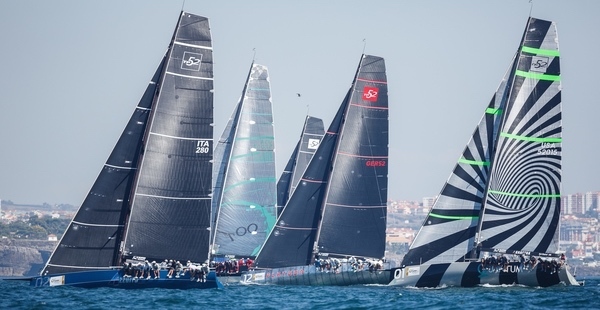 It was good winning the Copa del Rey and here we have sailed very consistently and ended up with a nice eight point lead at the end. Our goal today was two solid races and we achieved that nicely- a second and a third, a few more points on Azzurra. 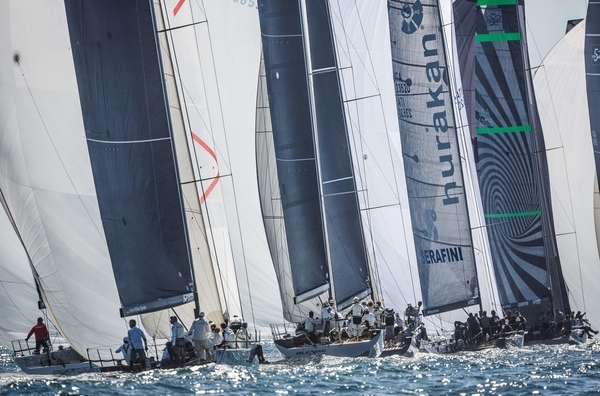 Last race just taking it easy and making sure we got round and so got a very nice third to win the regatta,” said Tactician Ado Stead. “We were a little slow out of the blocks, a little late in terms of getting the boat ready and a little behind. It’s all those little things that you’re looking for that hurt you. 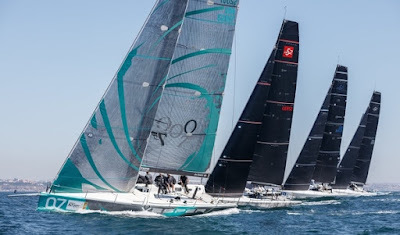 I think that the strength of a good team is to be able to recognise its weaknesses and work on them and keep plugging away and that’s exactly what Quantum Racing has done this year and I’m incredibly proud of the year, second place, winning the last two regattas. We know that we are in the right place and heading in the right direction,” he added. The highly charged three cornered fight for third overall on the 52 Super Series podium went the way of Takashi Okura’s Sled. This battle required the last race of the season with Platoon starting with a two points cushion. 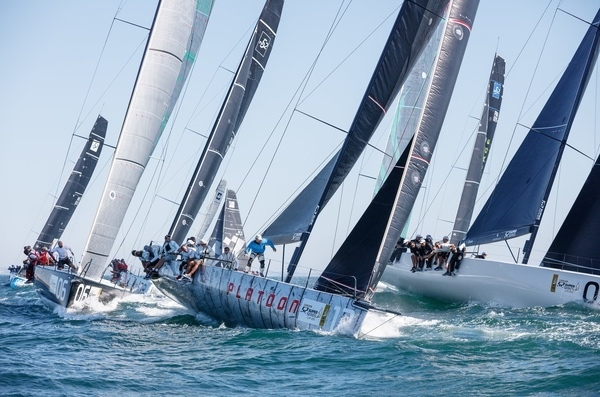 But with Ross MacDonald on tactics and Hamish Pepper strategy they were able to finish fourth to Platoon’s ninth and Bronenosec’s eighth and so secure third overall for the season. “The podium is huge but more important was the owner-driver category and so it was a double win for us. We never expected to be on the podium but we definitely wanted to be one of the contenders in the owner-driver category so it’s a great result. I have to add that it is a little bit difficult when you are sailing to try and finish in these positions because normally you go to a regatta and you try to win or finish on the podium and here you’re dealing with a lot of math, high numbers. 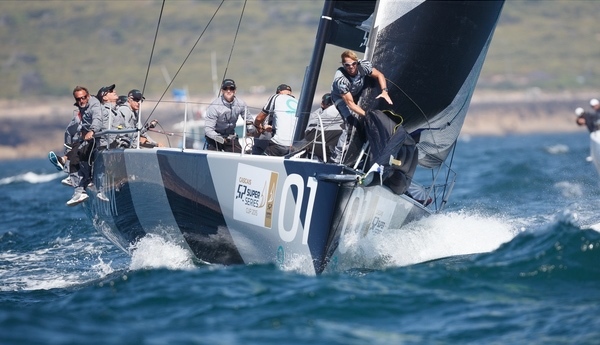 To go eight or ten races on the defense is a little bit difficult,” MacDonald said. And fast and sailing loose with nothing to lose in their one and only appearance at the 52 Super Series with several of the Rán Racing crew on board, proved a successful formula for American visitors, Jim Swartz’s Vesper. 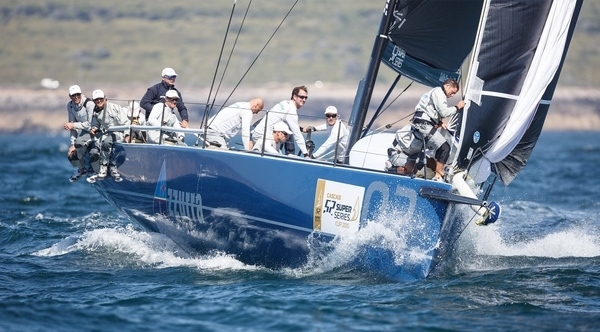 They won the first race of the regatta and the first of two today, finishing third overall. So their podium success record is 100% after their European cameo outing in Capri last year saw them second, a great result for the 2007 built ex Quantum Racing. 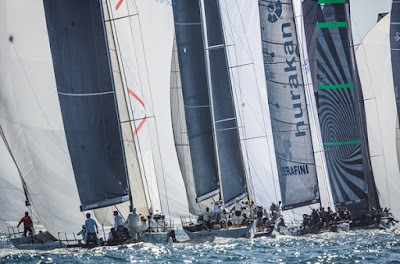 2015 52 Super Series Season Rankings after five regattas, 46 races.